Edith I. Roeser Jarosinski, age 91, Pulaski, passed away on Saturday, August 18, 2018. She was born on April 3, 1927, to John and Elsa (Burkart) Kassner. On December 1,1951, Edith married Jay Roeser. He preceded her in death in 1979. On August 8, 1981, she married Sylvester Jarosinski. He preceded her in death in 2008. 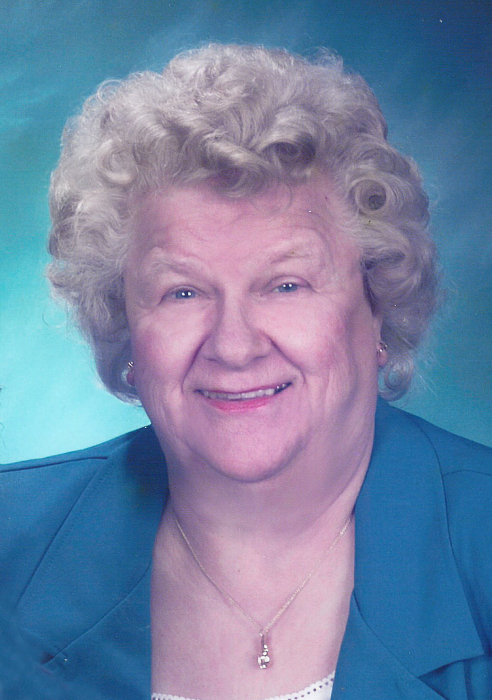 She was a member of American Legion Auxiliary, Pioneer Club (Telephone Co. of Green Bay operators club), Order of Eastern Star Jewel Chapter 19, Knights of Columbus Women’s Auxiliary and a member of Assumption BVM Catholic Church. Edith is survived by her children, Kayle (Larry) Wahleithner, Keith (Laura) Roeser, Jan (Rita) Roeser, Jamie Roeser, Kyle (Debbie) Roeser; step-children, Linda (Roland) Grode, Tom Jarosinski, Daniel Jarosinski, Larry (Barb) Jarosinski, Mark (Jean) Jarosinski, Jeffrey Jarosinski, Greg (Terri) Jarosinski, Steve Jarosinski; step-daughter-in-law, Lori Jarosinski; brother, John Kassner; sisters, Lois Anderson, Betty Grace, Norma Kappel; numerous grandchildren and great-grandchildren; as well as many nieces, nephews and other relatives and friends. In addition to her husbands, Edith is preceded in death by her son, Jay M. Roeser; step-sons, David Jarosinski and Alan Jarosinski; brothers, Alan Kassner, Joe Kassner, Arthur Kassner and sisters, Clara Bowman, Myra Hanson, Anita Larson, Alice Skadeland and Gladys Litwin. Visitation will be held at Lyndahl Funeral Home, 1350 Lombardi Avenue, on Tuesday, August 21, 2018 from 4:00 p.m. until the prayer service at 6:30 p.m. with Deacon Bob Derks officiating. Visitation will continue Wednesday, August 22, 2018 at Assumption BVM Catholic Church, 109 East Pulaski Street, Pulaski, WI from 10:00 a.m. until the Funeral Mass at 11:00 a.m. with Fr. Patrick Gawrylewski, O.F.M. officiating. Expressions of sympathy, memories and photos may be shared with Edith’s family on her tribute page at www.lyndahl.com. Memorial donations can be made to Special Olympics.